Oh how I wish today was payday.. But I have a while yet! I have my eye on these four gorgeous dresses! Each could be worn dressed down or dolled up!They would all look perfect in the day with a chunky knit over the top and some boots, and then perfected for evening with some heels and a gorgeous bag! 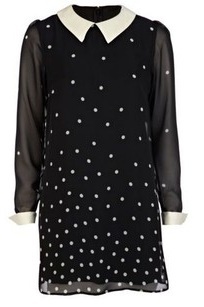 2: This dress has been on my wishlist since the day after payday (funny right?!) I absolutetly adore the detail of it, and the cuffs and collar really complete the outfit! I'm not a River Island shopper at all, but everytime I walk past the window I always catch myself glancing at the beauty of this dress. 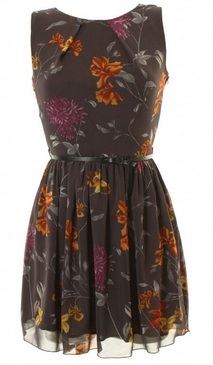 It's a popular dress too! I've seen so many people wearing it, and luckily everyone has managed to look gorgeous and pull it off perfectly.. Let's hope I do too! This dress is worth every penny. 3: What beautiful colours right? I've only just discovered Romwe, and already I've found myself wanting too many pieces from their site! I managed to knuckle it down to a few, and picked this one! I love the colours together. The mustard adds a spark while the navy keeps things simple! I just know I'd wear this all the time if I could! And at onl £28.07 I think it's gonna be a first purchase! 4: In love with this dress I think. 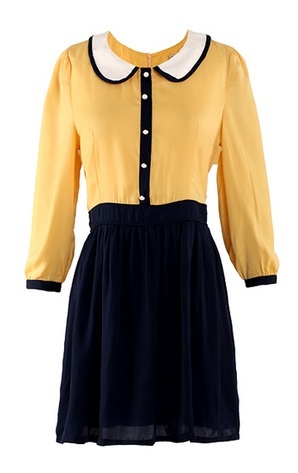 It has everything I love; peterpan collar, ribbon tie, skater style dress, and a cute detail. 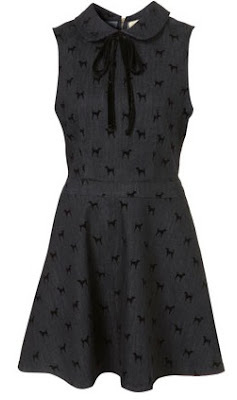 I am not a dog lover, however I would make myself one to own this dress! I literally cannot stop staring at the beauty of it! However with it being a Topshop unique, it's a leeeetle pricey... But sometimes, those splurges are worth spending for!